Geoffrey Neil Brooks was born in 1947 in Portland, Oregon. After graduating from Grant High School, Brooks attended college at Pacific University for a short time before being drafted into the military during the Vietnam War. Brooks was discharged after thirteen months of service due to health complications related to epilepsy. Following his return to Portland, he worked for Consolidated Freightways as an assistant computer operator and then at Kaiser Hospital as a certified nurse. 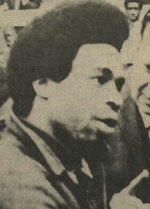 In January 1970, Brooks resumed his education by enrolling at Oregon State University. Originally intending to major in Sociology, Brooks ultimately settled on Elementary Education. 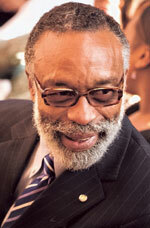 During his years at OSU, Brooks was very active in campus politics, heading the Black Student Union and leading various educational and protest activities meant to call attention to racial and gender inequality on campus. While in Corvallis, Brooks was also roommates with Lonnie B. Harris, the first director of the university's Educational Opportunities Program. Near the end of his college career, Brooks participated in the Portland Urban Teacher Training Project, which provided undergraduate education majors with real world experience teaching in the city's classrooms. After completing stints as a student teacher at John Adams High School and Whitaker Middle School, Brooks graduated from Oregon State in 1973. Following the conclusion of his studies, Brooks enjoyed a forty-year career with Portland Public Schools, teaching at Burnwood Elementary School, Jefferson High School, and Franklin High School. Having earned a master of arts degree in teaching from Lewis & Clark College in 1994, Brooks later worked as an adjunct faculty member at several Portland-area colleges and universities, and was heavily involved with diversity programming throughout the Pacific Northwest. His association with OSU continued as well through his membership on the President's Board of Visitors and the Office of Equity and Inclusion's Board of Multicultural Advisors, his involvement with the OSU BEST program, and his service to numerous executive search committees. Brooks retired from Franklin High School in 2002, though he remained very active with a wide array of diversity and community relations outreach initiatives in the Portland area. On May 26, 2016, he passed away at the age of 69.